The Garden Worm Bomb contains approximately 1000 mixed Gardeners Friend worm eggs and Indian Blue/Spenceralia worm eggs. These two worm species are Australian Natives earthworms (not compost worms) and will do well in most Australian climates and soil types. These two worms form the foundation for fantastic soil structure building. By adding these worm eggs to your garden soil, the worms that hatch will dramatically increase your soils water and nutrient holding capacity. The worms will turn your soil into a beautiful honeycomb structure, full of holes for plant roots, water and oxygen to infiltrate, leading to much healthier soils and plants. These worms will also attract other native worms to your garden, orchard or farm soils. Worm eggs are the most viable method of introducing worms into a new environment. 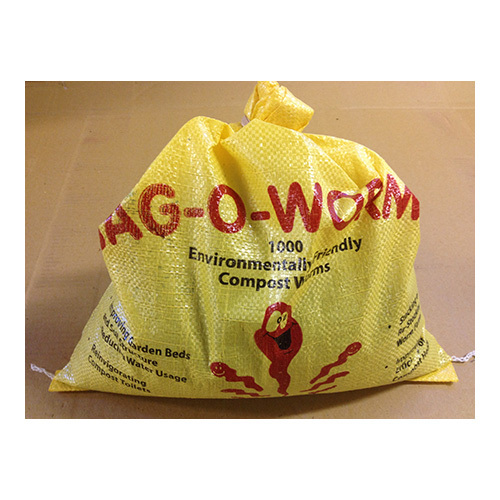 Each Garden Worm Bomb will cover an area of approximately 25 square metres. Just add water and keep well-mulched. Full instructions included. I first bought these earth worm bombs 8 months ago as the semi arid area with acidic soda soil in which i am gardening had no worms or life in it at all. I added them to well composted built up garden beds covered in hay along with compost worms and their numbers have exploded. My only problem now is keeping the boys away who want to go digging in the garden for fishing bait. I am definitely buying more as i build more garden beds.